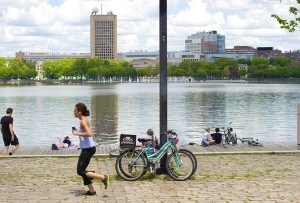 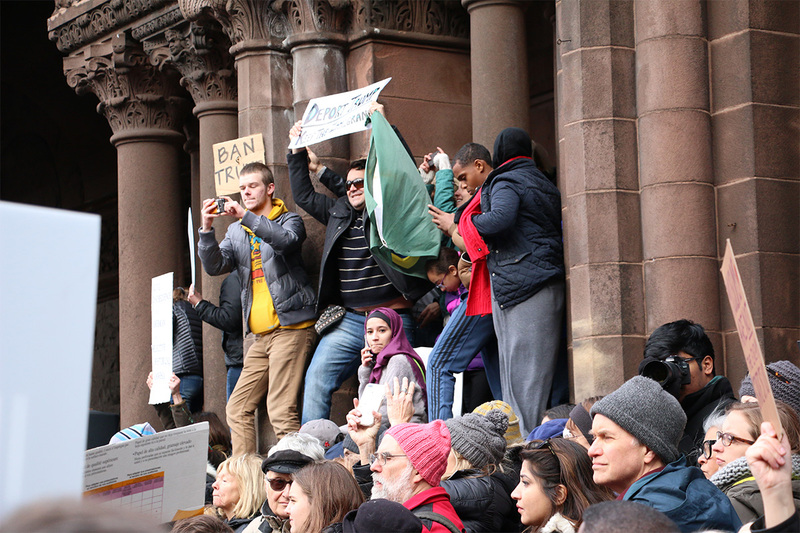 Mayor Marty Walsh and Senator Elizabeth Warren both addressed the crowd. 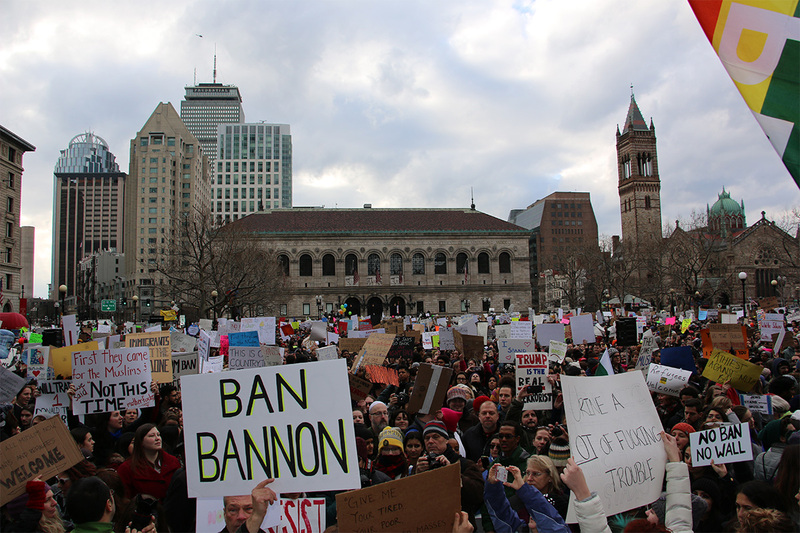 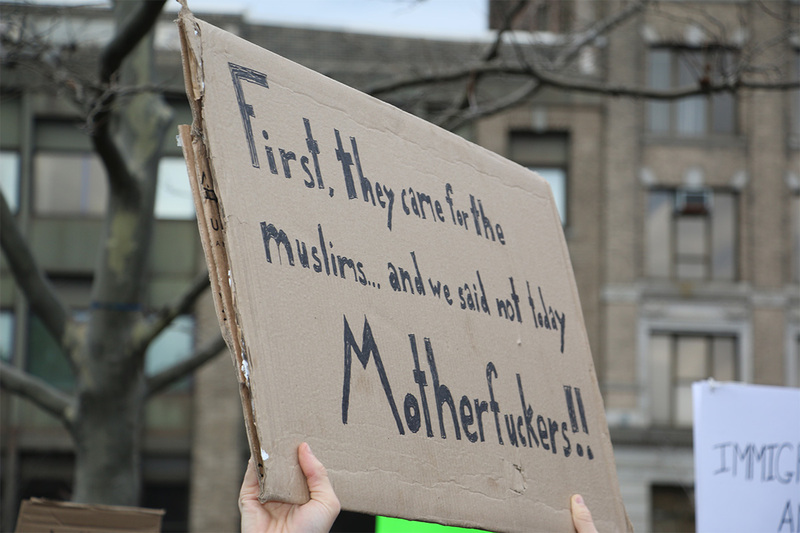 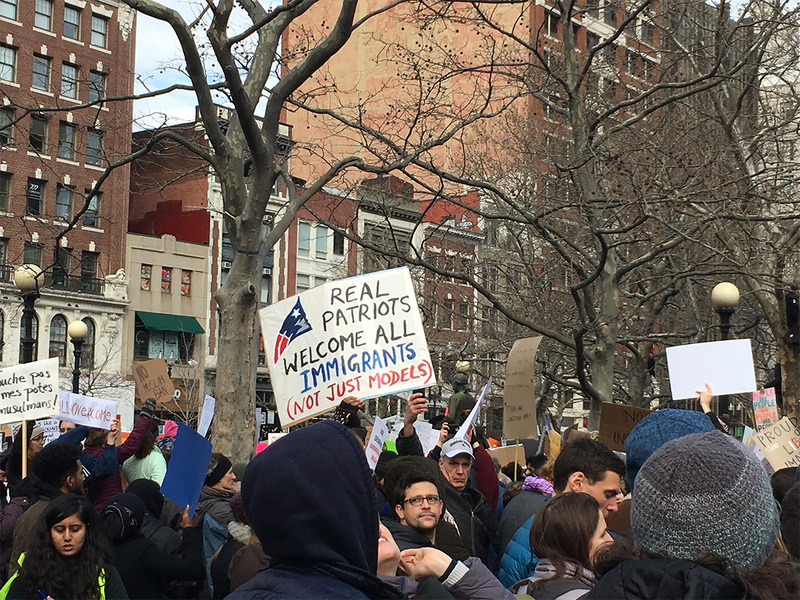 By Lisa Weidenfeld·	 1/29/2017, 4:20 p.m.
Just one week after hundreds of thousands of protesters flooded into Boston and Washington D.C. for the women’s march, another massive crowd gathered in Copley Square to protest President Donald Trump’s executive order banning travel from certain countries. 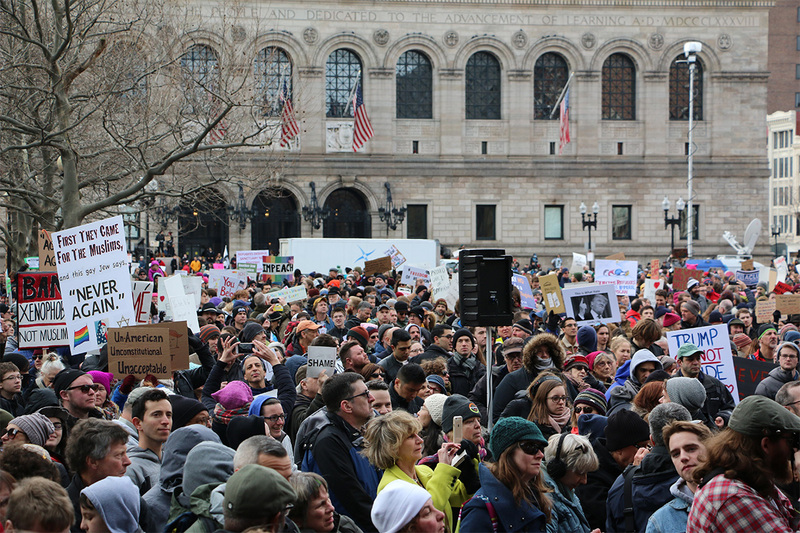 The order has touched off a crisis in airports across the country, with lawyers working around the clock to help stranded travelers get home and huge protests gathering outside major airports, including Logan, New York’s JFK, Chicago’s O’Hare, and more. 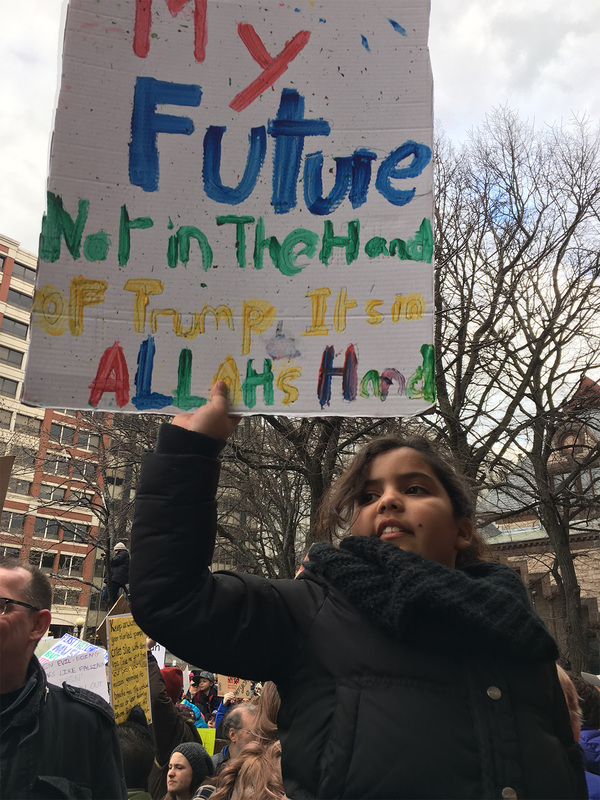 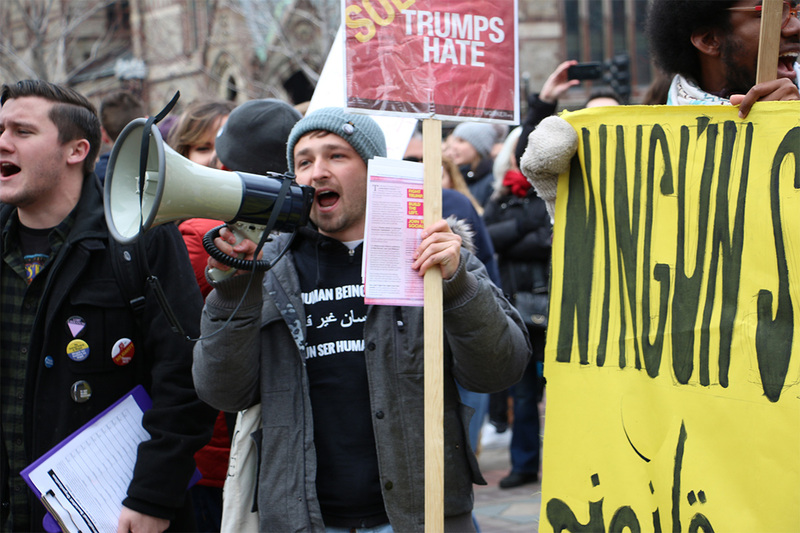 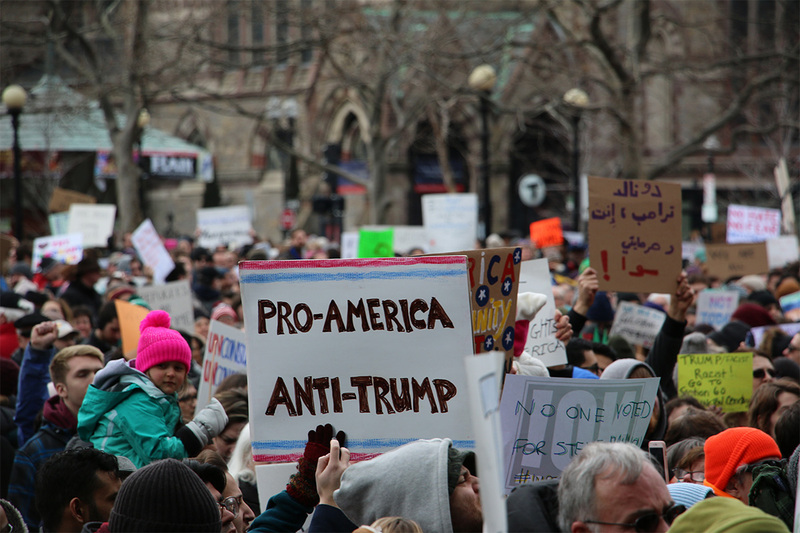 While protesters cheered for the various officials speaking (including Mayor Marty Walsh and Senator Elizabeth Warren), with limited audibility, chants were the order of the day for many attendees. 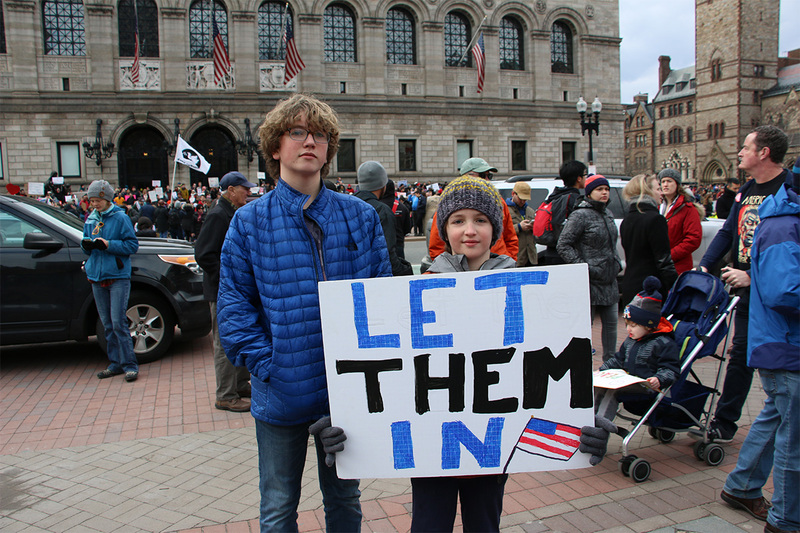 “No ban, no wall” might have been the most popular, but “This is what democracy looks like” proved similarly common, as did “Don’t give in to racist fear, immigrants are welcome here.” In news that is perhaps unwelcome to Governor Charlie Baker, there were also many “Where is Charlie” and “Where’s Charlie Baker” chants. 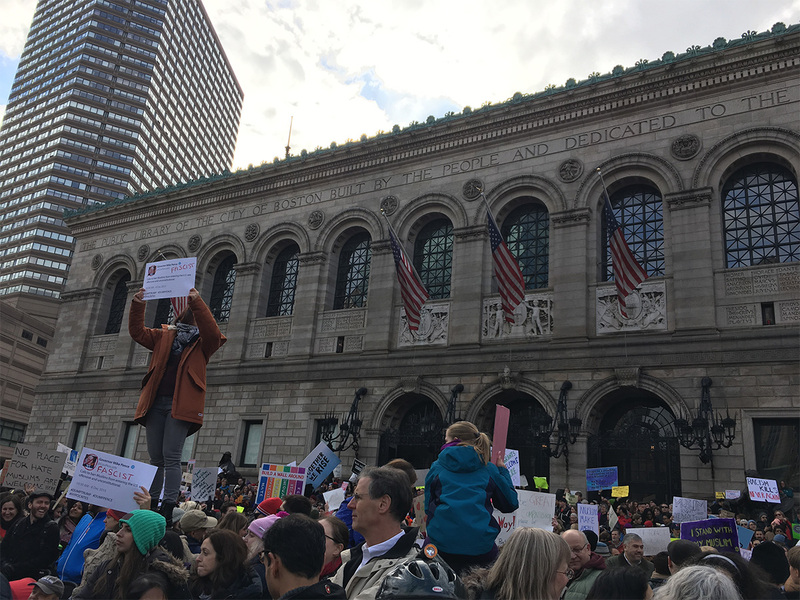 Baker has issued a statement indicating he does not support the ban, but was not present at the rally. 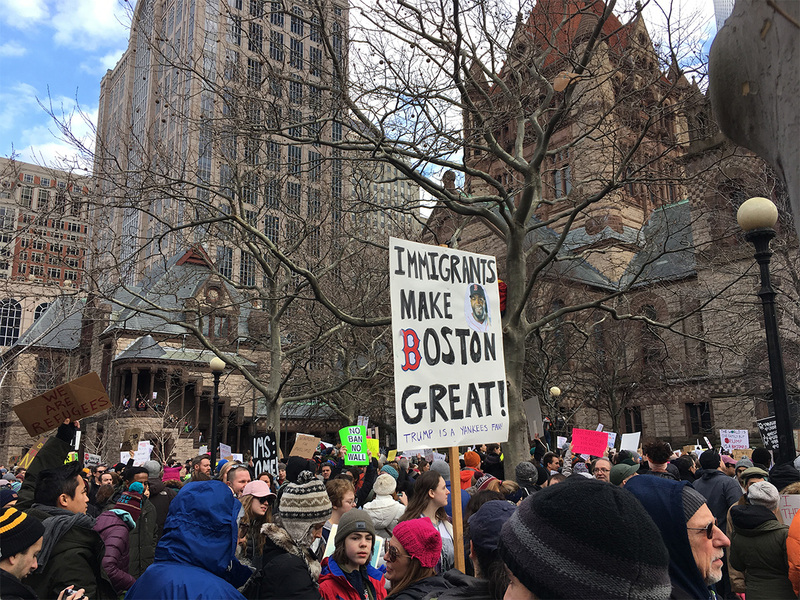 The executive order has already run into legal trouble, with some experts advising people to fly into Logan to get into America after two judges in Boston issued an order offering a wider range of protections, per the Boston Globe. 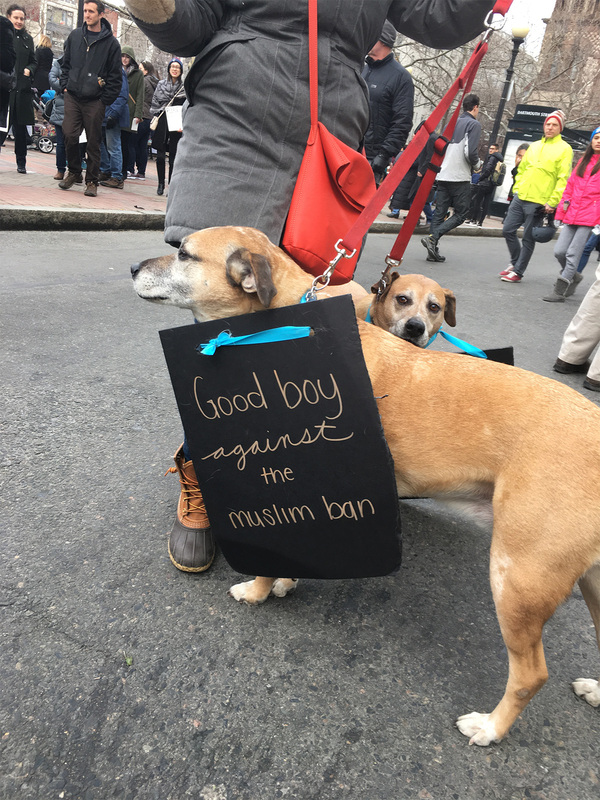 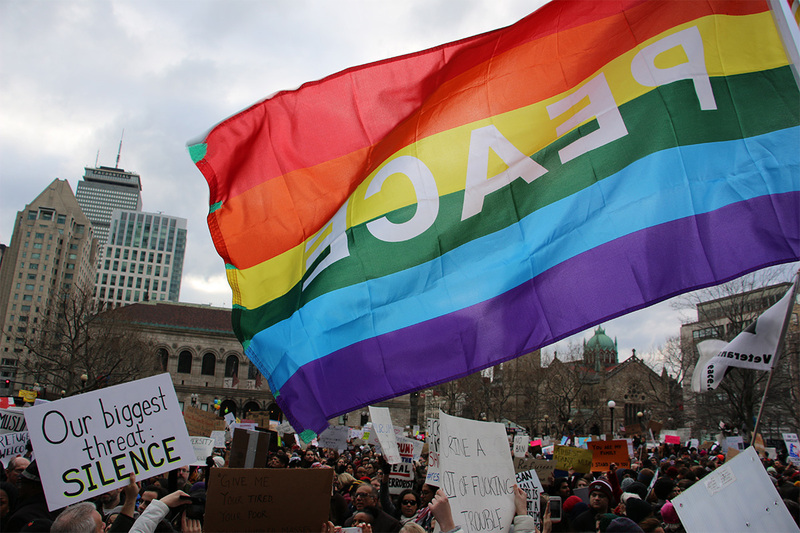 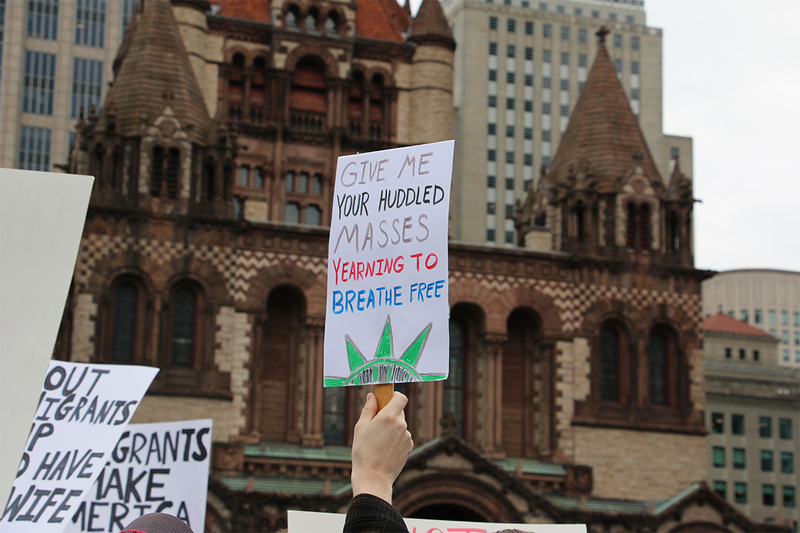 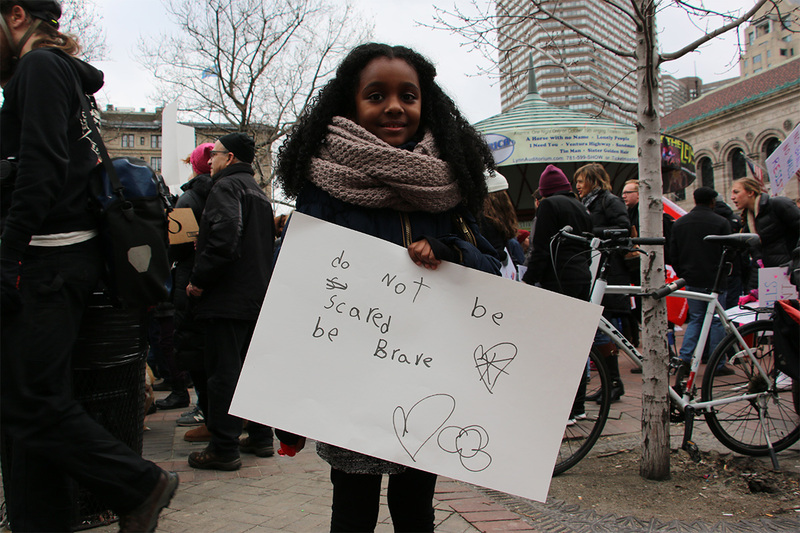 See scenes from Boston’s Sunday protest below.